Looking back at Akaya's progress - We dare you! When I go back to page one of my diary and see the difference in Akaya’s pictures, I cannot believe the change in just 5 ½ weeks. Hair is starting to thicken and grow back something I was not expecting it is great. I don’t know why but Akaya loves to be petted more than ever before. She has become affectionate to the whole family were as before she was skittish. She has become very calm. I am not sure if this is anything to do with the supplements. She has gained all her weight back. She seems overall well healthy and happy. My little girl is back. Hair has started to grow back on her left leg which was totally bald and looked as though it would never come back and also hair is becoming thicker on her back. She is taking full advantage of her mate Biggan as I will not let him jump on her. So she is jumping on him. A devoted animal advocate and Vegan volunteering at a Dog Rescue. 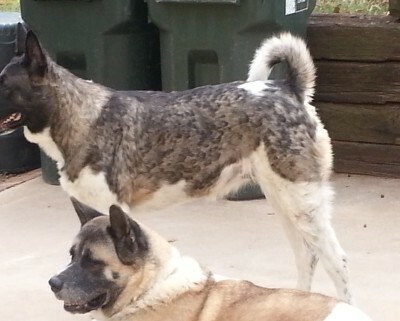 I’m married, also living with Akita Biggan (male) Akita Akaya (girl), parrot Sunny. I’m originally from England but have lived in America for over 34 years. 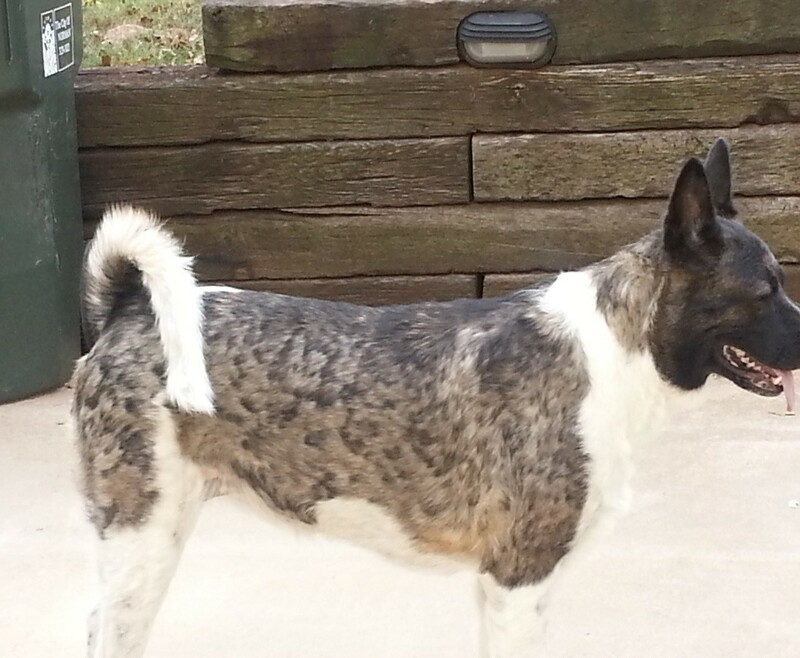 I was heartbroken when Akaya was diagnosed with SA.I thought I was going to lose her until I came across the Akita Unleashed website, and the stories gave me so much hope I just jumped right on it did not waist a day. I got everything that the owners suggested and got to work because, I was told by many that there was no cure the best and most humane thing would be to put her out of her misery. But she's my baby. No that's not in her or my plan for life. I was going to make my baby better just as the stories showed me. This is a life commitment to her from me that she will have a happy healthy life until she becomes an old lady with me. I know there is a possibility of breakouts but I truly believe if I continue to bath her and give her medications, the possibilities are far less. You have to stay on it forever. Never slake... this is part of our life now.